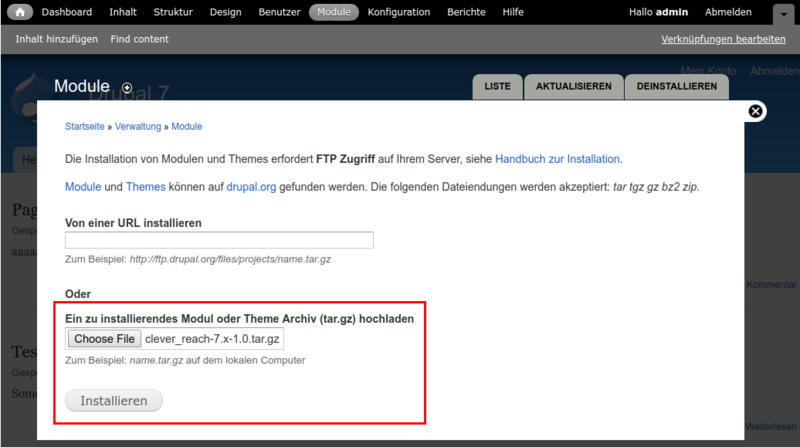 Go to themain menu and click on [Modules]. Click on [Install new module]. 6. 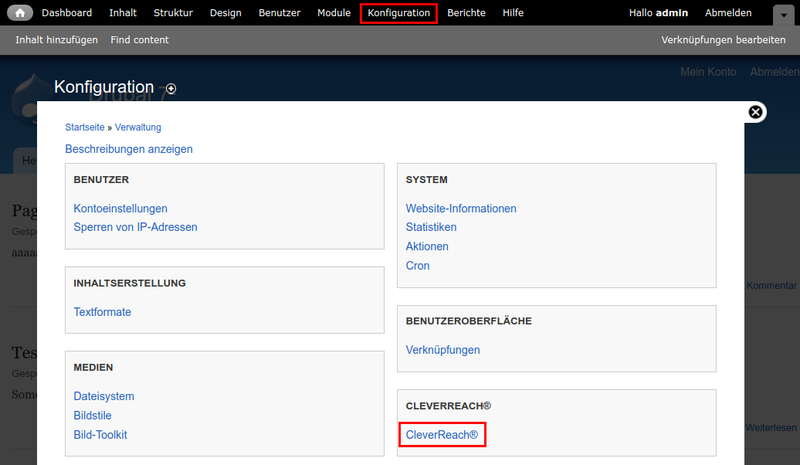 Once the moduel installation is completed, navigate to [Configuration] - [CleverReach®]. 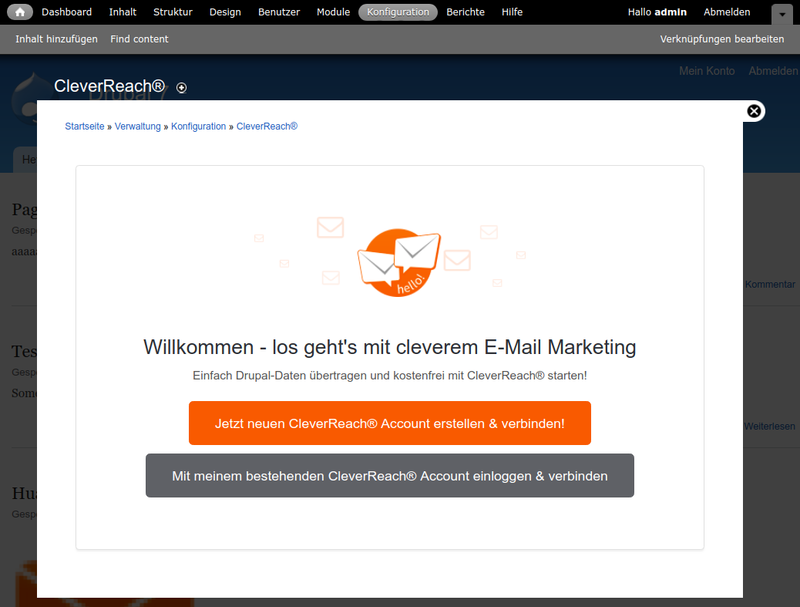 If this option is set, all users, who existed before the initial CleverReach synchronization, are synced as active. 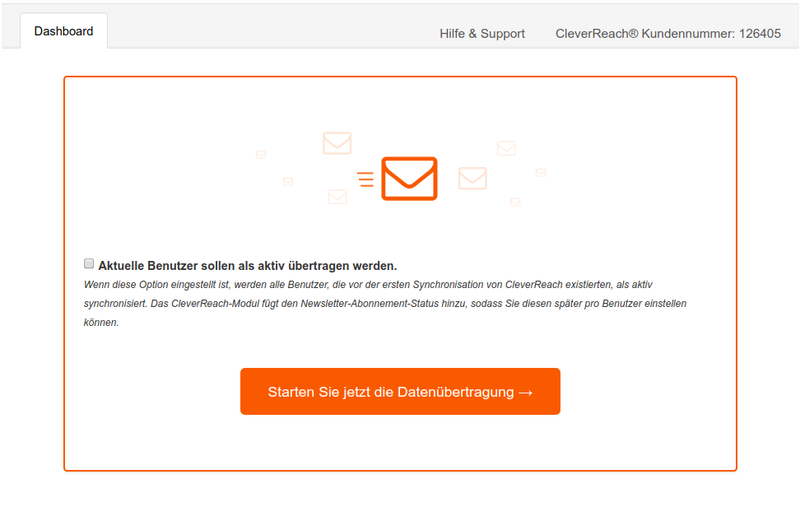 The CleverReach module adds the newsletter subscription status, so you can later set this per user.